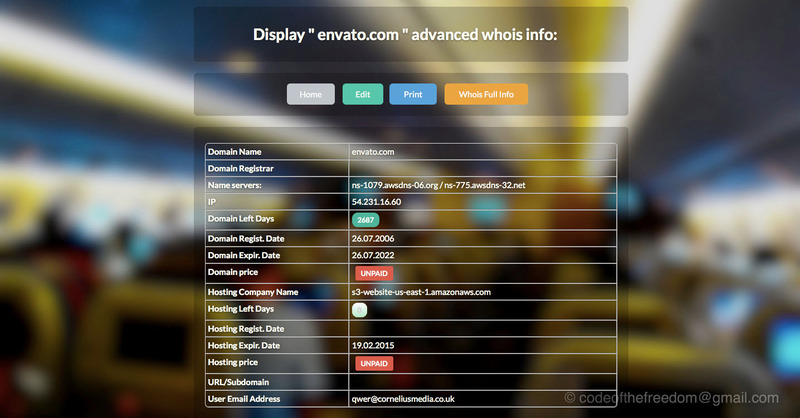 Improoved compatibility with different webservers, added SEARCH feature, displaying number of domains of each user, and few other posibilities. 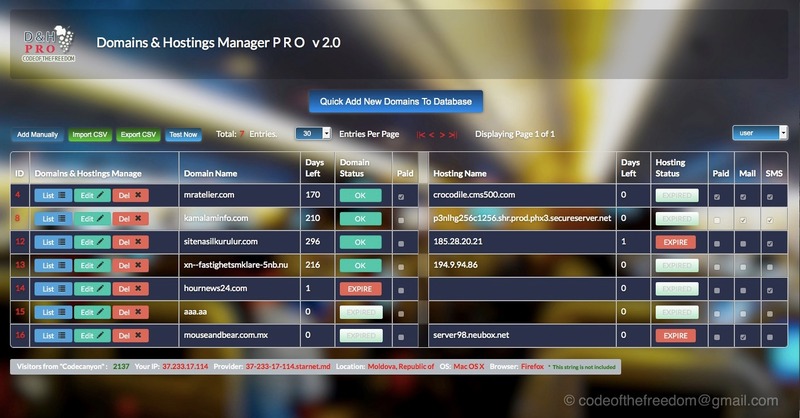 What is “Domains & Hostings” Manager Remainder PRO? 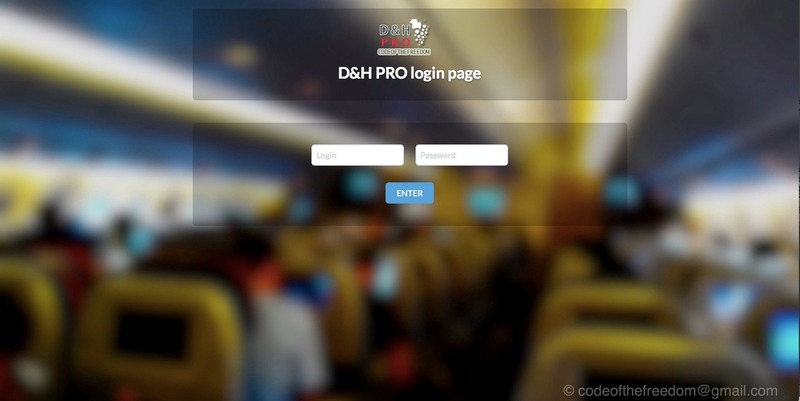 “D&H” Manager Remainder PRO is a powerful system that never let you forget to renew domains or hostings accounts, by sending emails and sms to admin/users with expiration alert. 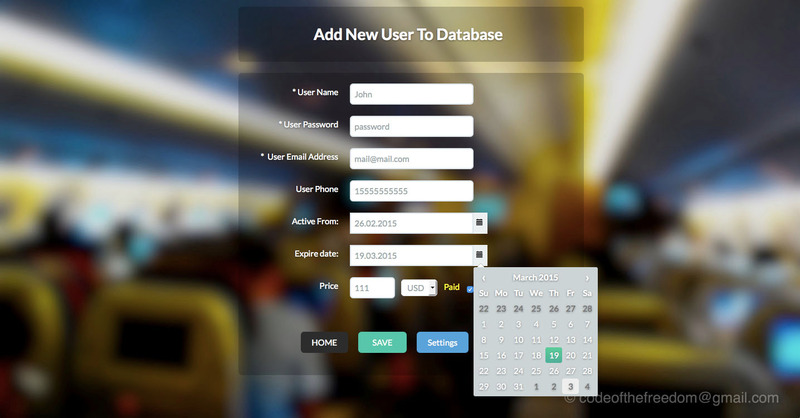 Admin Login + User Frontend + Powerful Easy Administration. If you have more than one domain, and use different hosting services, you know how difficult is to keep in mind what domain where is stored, and what dns and ip need to input in every hosting services, also the domains have one expiration date, and hostings have different…. Compatible with new TLDs. 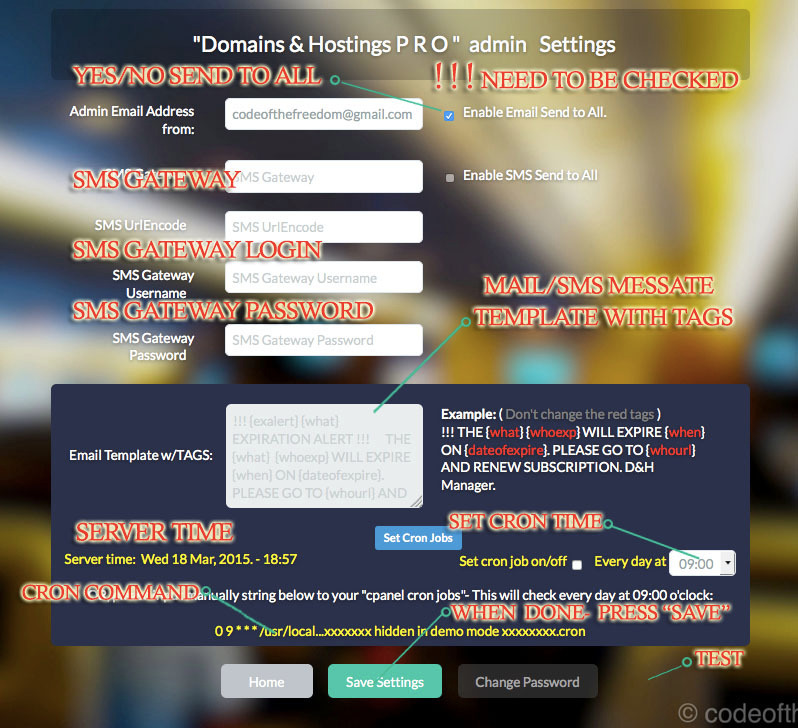 Can send SMS to over 200 countries thru TEXTMAGIC.COM gateway. You can set any other gateway, just adding api php line codes from wanted gateway, and set the login/pass/token on settings page. 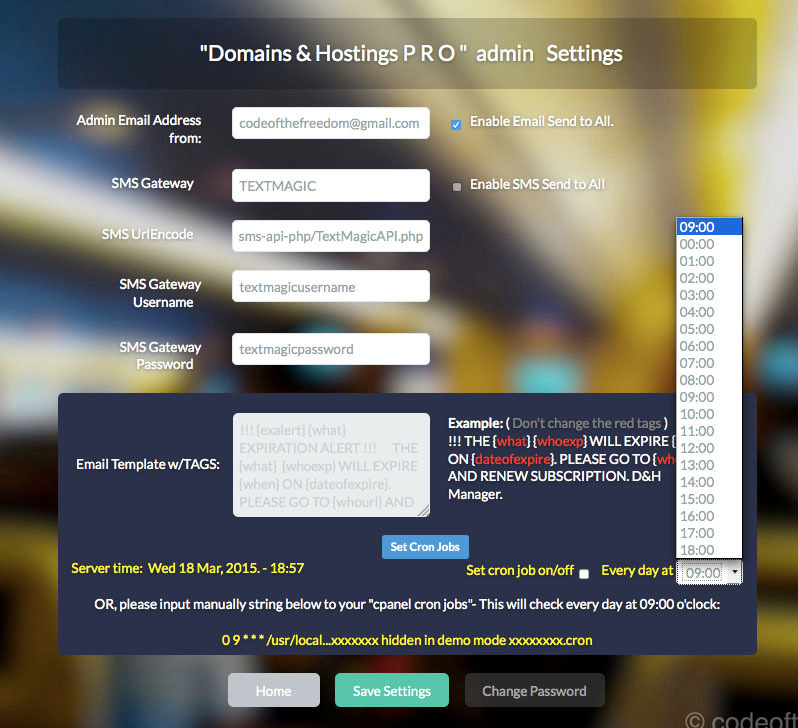 Payment info for each domain/hostings account. 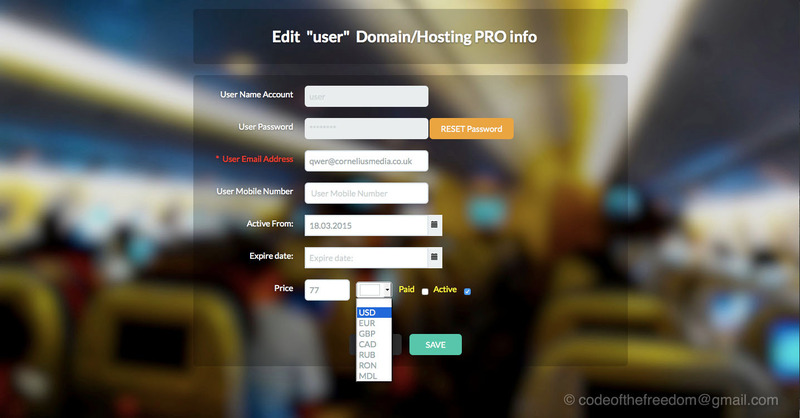 Just input domain name and email address. Thats it. Rest of job will be done by DHR PRO. It is very easy to install. 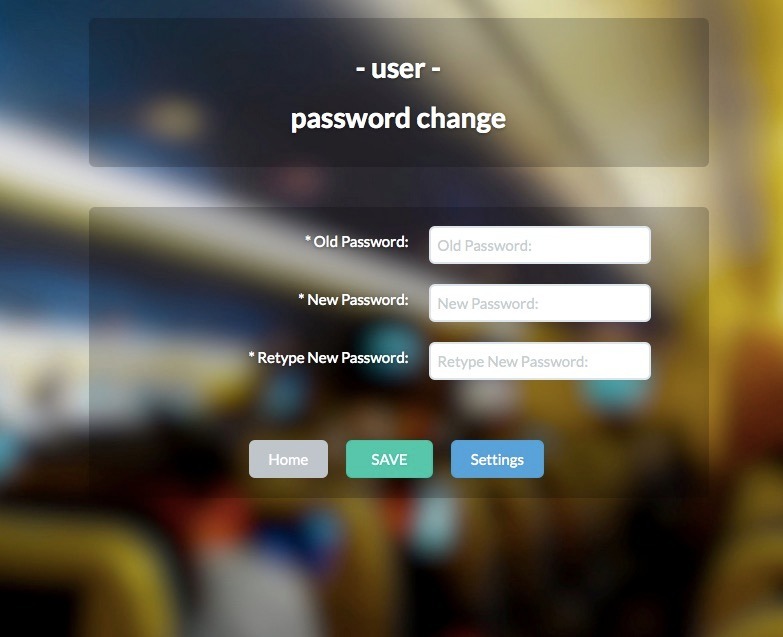 Just input once the cpanel username, password and forget about. The rest part of work will be done by D&H Reminder Manager PRO. 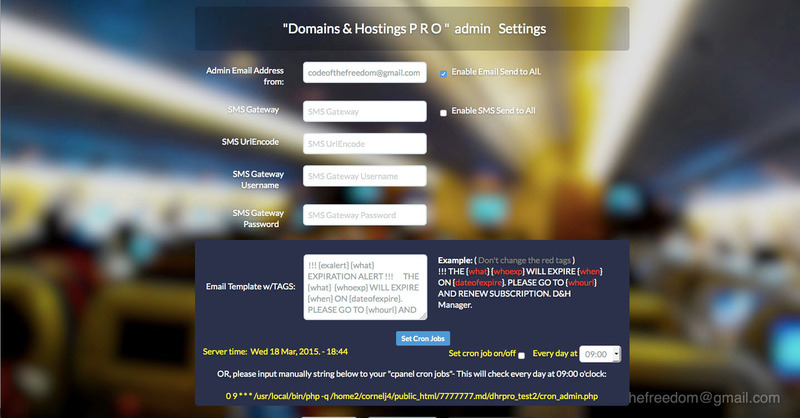 D&H Manager Remainder PRO will check every day at inputed hour the status of each domain/hosting expiration date, and if is = 30 days left, or 7 days left or today expire, will send an email and (or) sms to inputed mail address and cell phone with allert message from template. 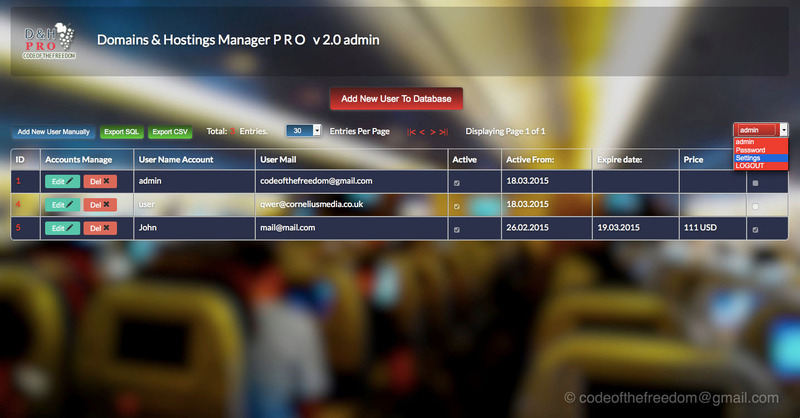 Automatically make cron jobs, with correct cron command, just by one click. Also have a powerful auto-install system, that can help you to avoid install headpain.